Many companies unload pallets the conventional way—by utilizing employees and relying on their manual labor. This is a repetitive and non-value-added task, since occupying employees in this way means they can’t spend time on more productive responsibilities. Palletizing can easily be automated so your team can work smarter. 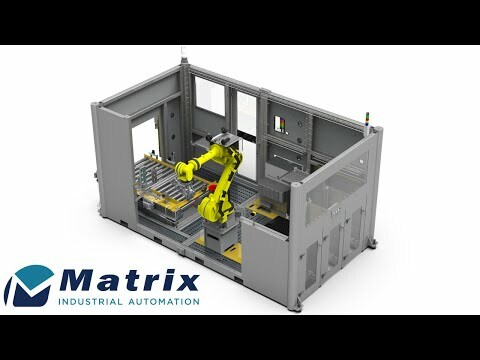 At Matrix Design, our palletizing systems integrate with your material handling equipment and containers, eliminating the redundant loading and unloading task. Time is saved and value is added. Contact us to learn more about how robotic palletizing can help your team work smarter.